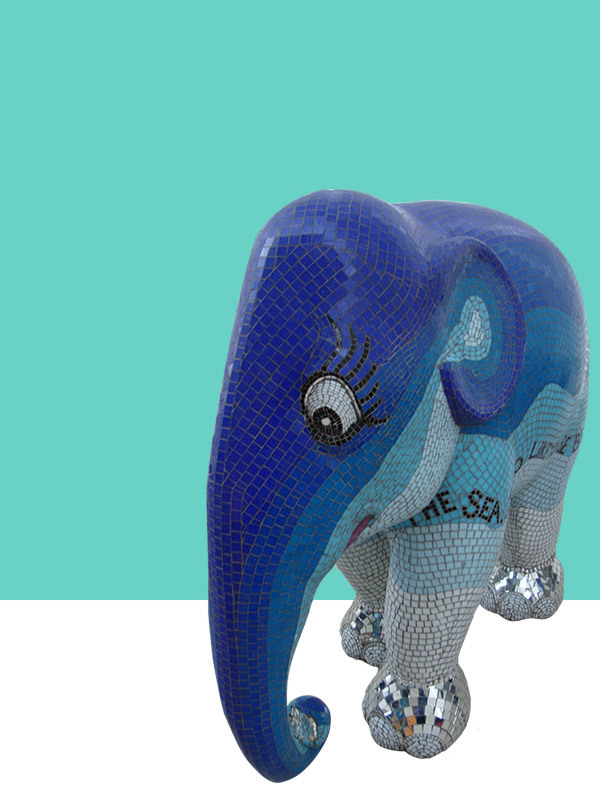 The Faberge Big Egg Hunt, was a 2012 charity fundraising campaign, in aid of Action for Children & Elephant Family, & sponsored by the famous jeweller Faberge. 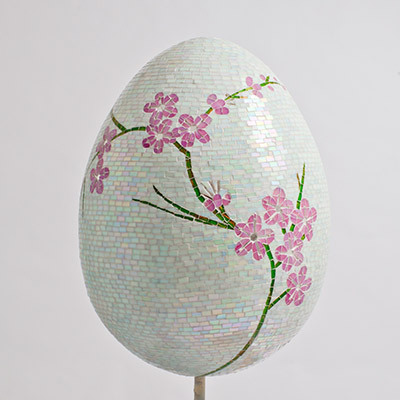 I was one of the 200 chosen artists which included Sir Peter Blake, Polly Morgan, The Chapman Brothers, Vivienne Westwood, Giles Deacon, Zandra Rhodes, Diane Von Furstenberg, & film director Sir Ridley Scott, celebrities and designers who created and painted meter high fibreglass eggs which were scattered across selected locations around London. ‘Time to Bloom’ was situated in Mayfair outside the restaurant “34” , frequented by stars such as Gwyneth Paltrow, with its own door man in a traditional bowler hat and traditional coat, a lovely man who kept an eye of the egg. 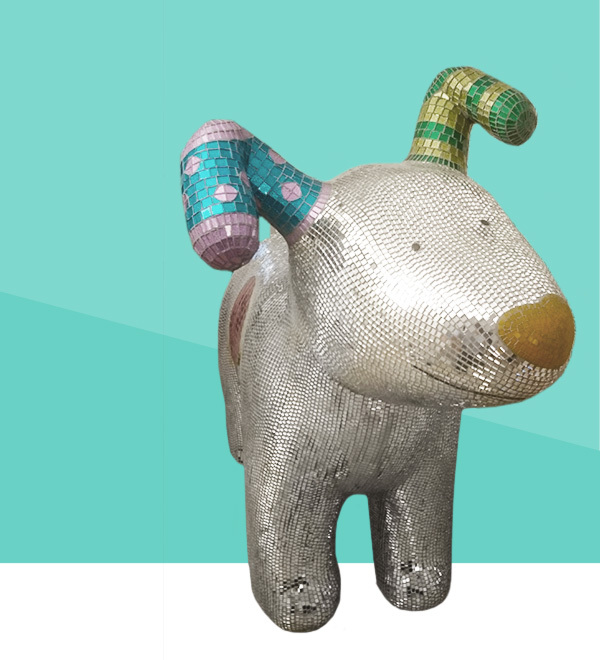 ‘Time to Bloom’ was sponsored by Caprice Holdings. 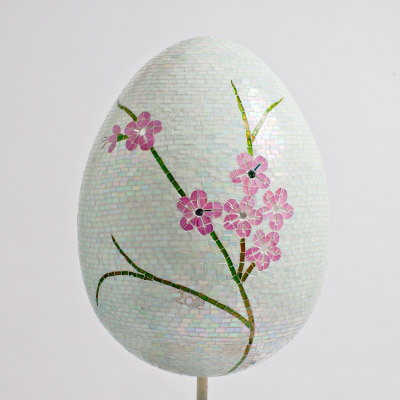 This egg’s design features a white background with pink blossom that is always a welcome sight in the Spring and represents new beginnings . Time to Bloom sold at auction for: £5001. 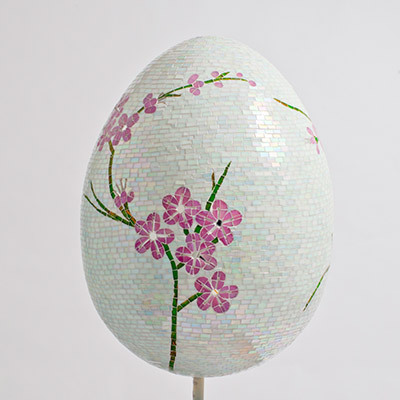 ‘This is a beautiful egg and the mosaic design on it is second to none. 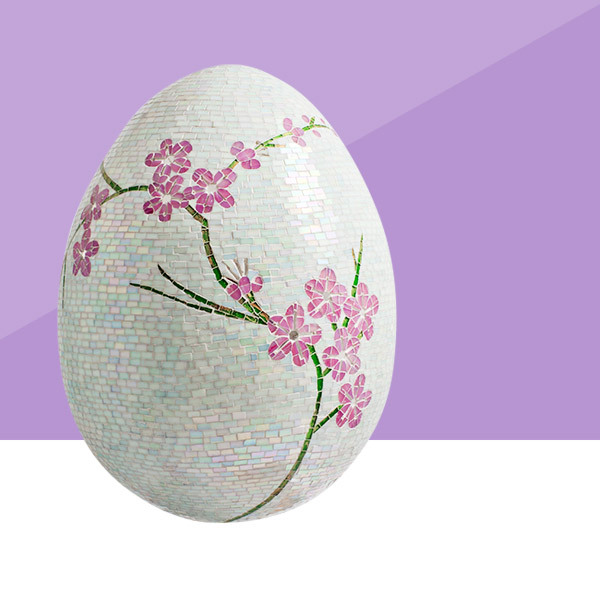 I cannot imagine the time and effort Natalie must have put into this egg, as it is truly is a delight to look at. ‘Time to Bloom’ is bright, fresh, celan and gives off a real air of positivity..exactly the feeling that you get when Spring is in the air. The egg is now situated by the front doors of my house for all my visitors to see when they arrive. It makes for the perfect entrance to my home’.